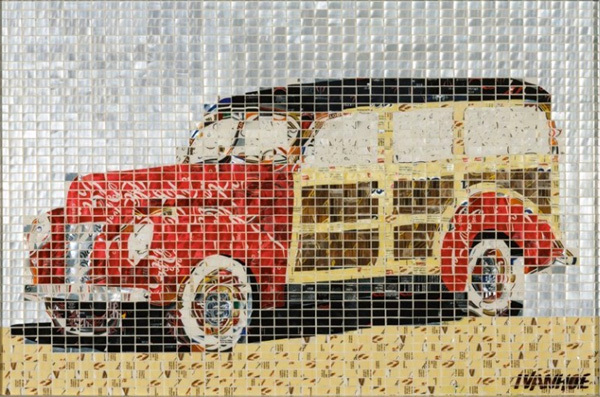 Founded by artist Jeff Ivanhoe long ago, AluMosaics combines and inspires recycling with creativity and imagination. 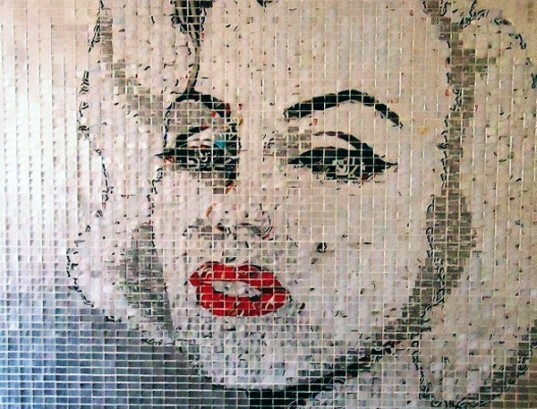 AluMosaics is an art form that transforms aluminium cans, hand-cut into tiles, into stunning works of art. 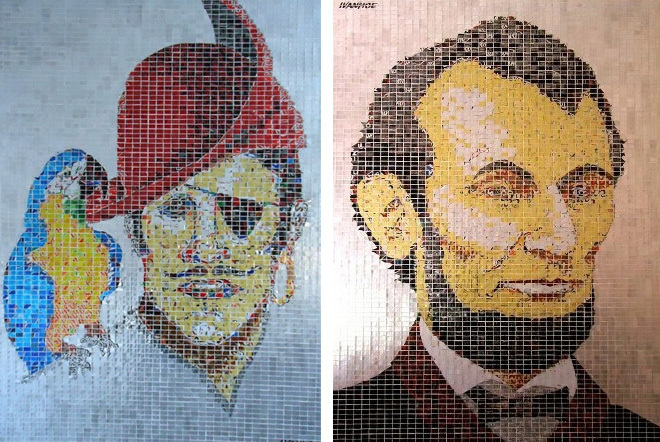 Founded by artist Jeff Ivanhoe long ago, AluMosaics combines and inspires recycling with creativity and imagination. Recognize some of the famous faces in our gallery? See even more incredible works over at Jeff’s site here.